Families in certain areas have their access to clean water interrupted up to once a month because of ongoing problems with local pipes. SIOBHAN KELLY HAD to buy a new washing machine recently. Every month, she buys in countless bottles of water. The Kelly family live in an area of Lifford that is impacted by the dirty water problem highlighted by TD Pearse Doherty last month. 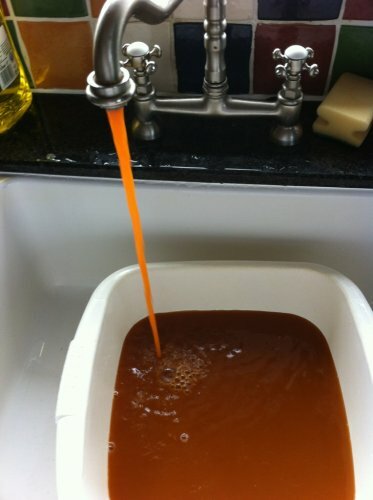 About once a month, the water flowing from the taps in their home turns a rusty colour and becomes entirely unusable. “When it’s bad, it’s really bad,” she told TheJournal.ie, and then provided photographic evidence. On the really bad days, nobody in the house (including three young children – one who is prone to gastric bugs) can shower or bathe. And a trip to her mother-in-law’s house, laundry in tow, is required. Even on good days, the water must be boiled or put through a filter before it is used. The washing machine is often clogged up with the dirt and grime that flows through the pipes with the water. 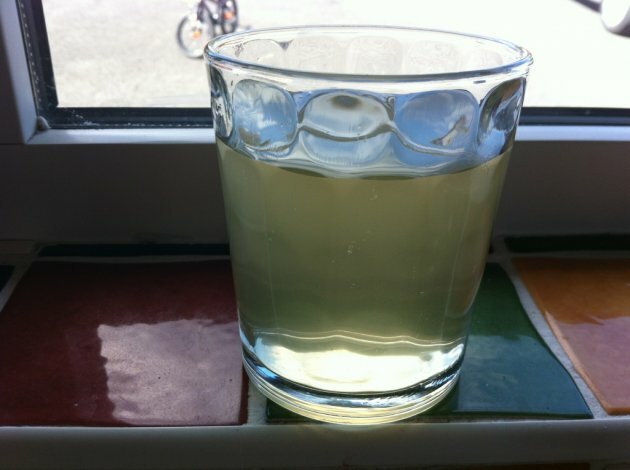 Residents of Clonleigh Park, Croghan Heights and Castlefin Road have all complained to councillors about the water problems but Donegal County Council says there is nothing to be done until more money becomes available. The necessary repair work requires national funding, says the local authority. A lot of national funding. A spokesperson told TheJournal.ie the total cost of the fix would be €7.8 million. The problems stem from the nature of the pipeline between Ballybofey and Lifford, according to the council. 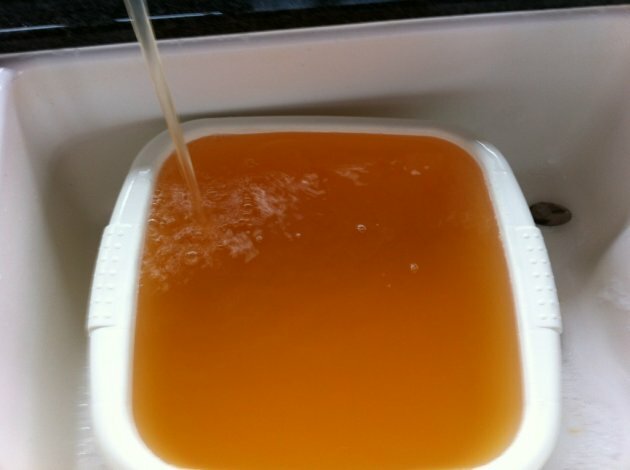 “It is the main cause of water discolouration in some areas when bursts are experienced,” it said in a statement, adding that staff are continuously managing the network. But they concede that an upgrade is required to ensure water quality and continuity of supply. In this regard, following a county-wide survey of the mains network, a significant element of the main is proposed to be replaced between Ballybofey and Lifford, subject to national funding being made available. This would bring about the necessary improvements that would enable the Council to guarantee a continuous quality service to the area. The Department of the Environment has advised that the issue is a local one that will be addressed by council but Sinn Féin deputy Pearse Doherty has added his voice to the list of complainants who are calling for action from the government. He says he has submitted a question to Environment Minister Phil Hogan to query if money will be made available in the near future.